This shot was taken very shortly after the preceding one, only looking in the opposite direction. 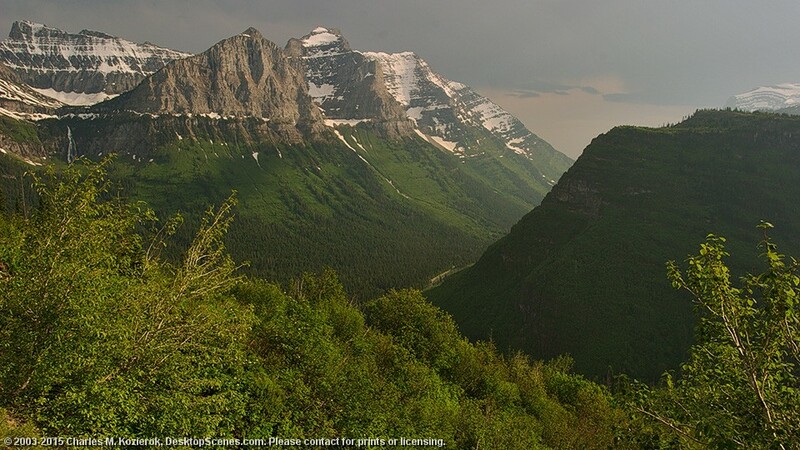 It shows part of the Continental Divide section called The Garden Wall, which runs through the heart of Glacier National Park. In fact, part of the Going-to-the-Sun Road is in this image, though you can't see it from this distance -- it is carved right into the edge of the mountains that dominate the left-center of the image. You can see a sizable seasonal waterfall descending from the cirque on the far left.